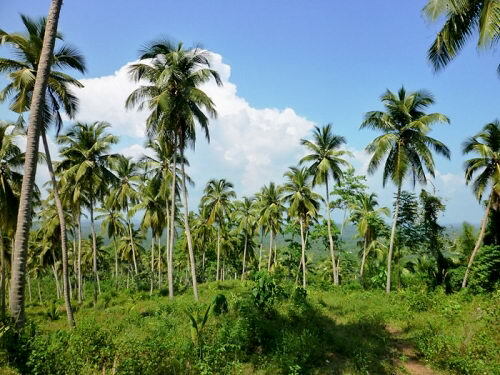 24 acres of lush coconut plantation mixed with pepper cultivation and over 100 valuable teak trees, situated just 6 km from the Dickwella town. 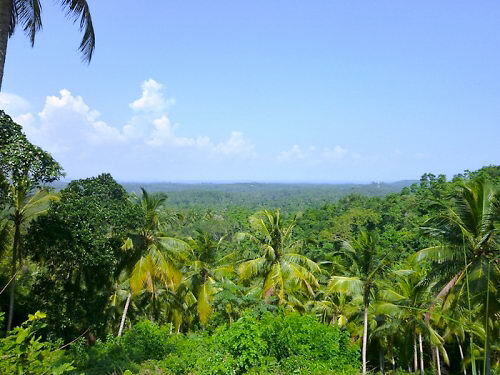 Sloped and elevated, with a spectacular scenic view over 15 km of green with distant ocean view. 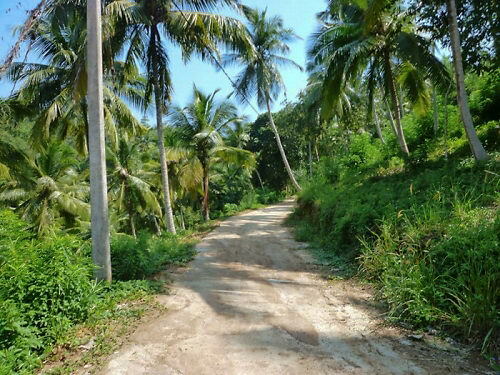 Access roads are concrete paved with enough space for two vehicles to pass and just 500 m from the main road. No close neighbours, no traffic. 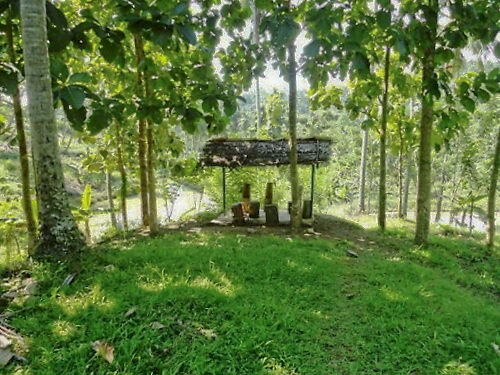 You’ll find outstanding quiet and peace on this property. 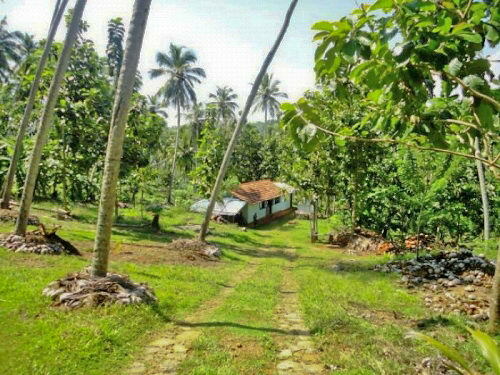 Internal plantation roads access all corners of the property, while electricity & ample water from the natural springs enable you to run a self sufficient and profitable agricultural operation. 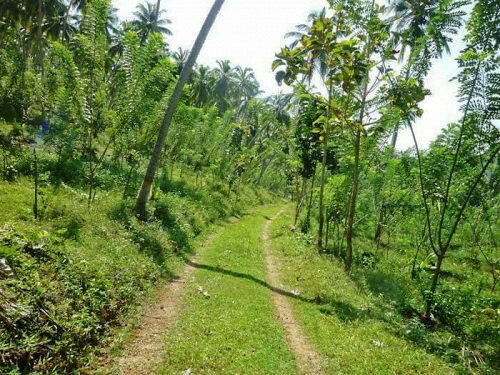 Location, accessibility, infrastructure, privacy and view are the key attributes that this stunning plot of land makes you fall in love with it as you arrive at the gate. I love this place for its grandiose views and its wonderful size. However, being realistic, one has to ask, why would people want to come here. It’s a 30 minute drive to the beach (which then is spectacular), but distance isn’t the point. 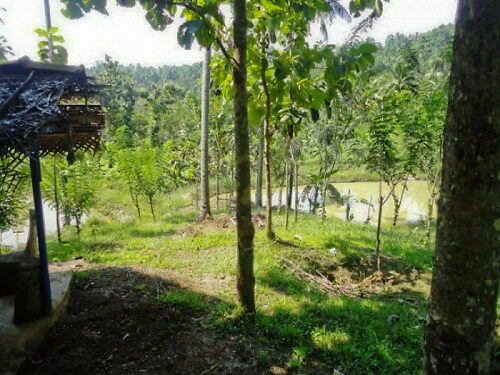 The difficult aspect of this property is that “civilization” and even tourist centres with a choice of restaurants and the chance to see other tourist are far away. Guest would either come for a day or two and use this place as a relaxing stop-over. 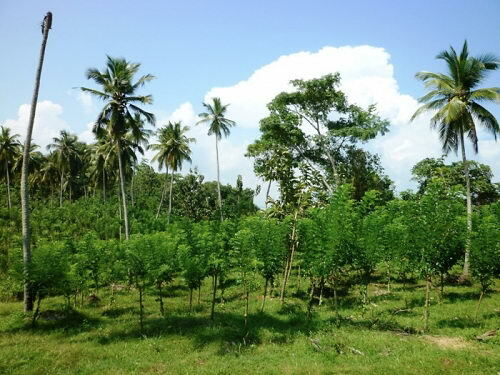 Or, and that’s the challenge as well as the chance to make a profit, you would have to provide a autonomous world of your own (Ayurveda retreat, yoga centre, activity centred tourism project) where remoteness is a positive feature. In my experience in Sri Lanka its almost always one investor with a vision buying, who later sells parts or shares of his investment to partners / friends. Don’t wait for your friends to subscribe now. To be successful you usually have to risk the investment and invite them afterwards. On the other hand it is the ultimate luxury to completely vanish into your private little (well, in this case large) kingdom with your tropical castle, swimming pool, garden, art collection, plantation. In any case the price is more than decent and the place has a huge potential to a creative investor.